Before purchases a Jeep SUV at our auto dealership near Wichita, Kansas, it's a good idea to know whether or not a car lease is indeed the right choice for your lifestyle. At Kranz Family Chrysler Dodge Jeep Ram, there are a few important things we like to discuss with customers before moving forward with one of our Jeep lease options. For one, if you tend to keep the annual driving mileage on your vehicles at around 12,000 or less, and if you prefer to trade in your car every few years for current, most updated models, then an auto lease might be the right fit for you. Additionally, if you want to have a lower initial down payment and low monthly car payments moving forward, a car lease might be in your best interest. Want to own your car and not have to worry about whether you're driving too much or putting too much wear and tear on your vehicle? If so, then an auto loan or auto finance solution at Kranz Family Chrysler Dodge Jeep Ram is probably your best bet. At Kranz Family Chrysler Dodge Jeep Ram, you can find a premium selection of popular new Jeep SUVs you'll love. From the new Jeep Cherokee and Grand Cherokee SUVs, to the new Jeep Wrangler Unlimited and Renegade SUVs, all of our luxurious Jeep SUV models are suited for pairing with one of our fantastic Jeep leases. 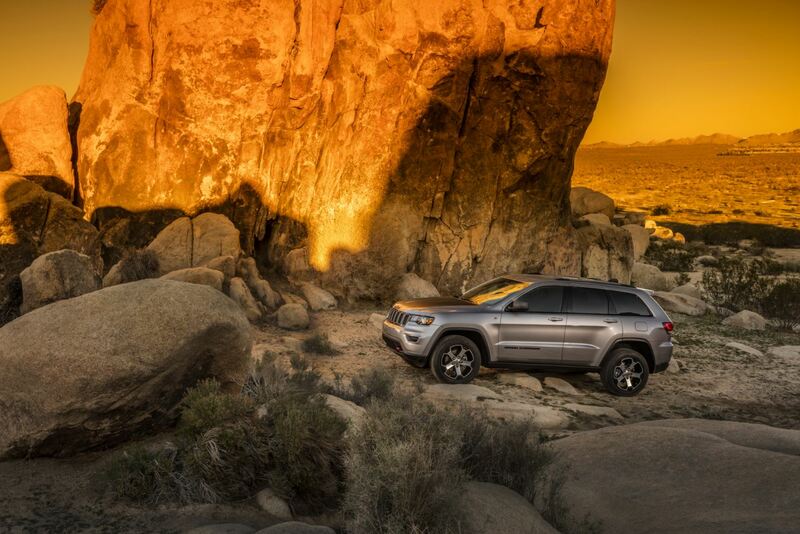 If outdoor exploration and endless off-road adventure are what you want out of your driving companion, the Jeep family of SUVs just might be your new best friend. With top trail ratings, loads of usable cargo space for all your gear, and the kind of interior technology and comfort you can't say no to, you won't be disappointed by what you discover in any of our new Jeep SUV models, found at our auto dealership near Wichita, KS. Thanks to the experienced auto financing specialists in our finance department, finding the right car lease, auto loan, or financing solution for your budget is easier than you think. With Kranz Family Chrysler Dodge Jeep Ram, your car-buying process is destined to be a positive one. Whether you're interested in getting top trade in value for your current vehicle, or you want to explore one of our low-rate car loan options, the choice is yours and we're here to help make it happen. To get started with Jeep financing or one of our great Jeep leases near Wichita, KS, get in contact with the car financing professionals at our dealership today.